For thousands of years, we have been keeping an eye on the sky and by doing so, we have been exploring space. We discovered five planets thousands of years ago and as our technology has improved, we've been making even more discoveries. Since the invention of the telescope, more than 400 years ago, we have discovered many new worlds to explore and the dawn of the Space Age, more than 60 years ago, has allowed us to send robotic spacecraft to some of these distant worlds and send people to the Moon. Space exploration is a very exciting journey - a journey of discovery - and with each passing year, we are making more amazing discoveries! This program is all about the technology that we use to make those amazing discoveries as we explore space. Your students will watch two spectacular and immersive full-dome movies. 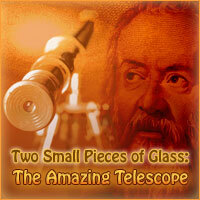 The first one is entitled Two Small Pieces of Glass: The Amazing Telescope and it is focused on telescopes and associated equipment. Your students will learn about refractors and reflectors, spherical aberration, spectroscopy, the Doppler Effect, adaptive optics, and much more. 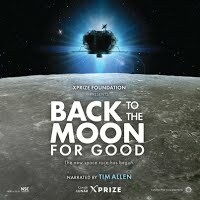 ​The second full-dome movie is entitled Back to the Moon for Good and it features several groups of people, from around the world, who are currently engaged in a contest, sponsored by Google, to build a small spacecraft that will land on the Moon sometime in the near future. 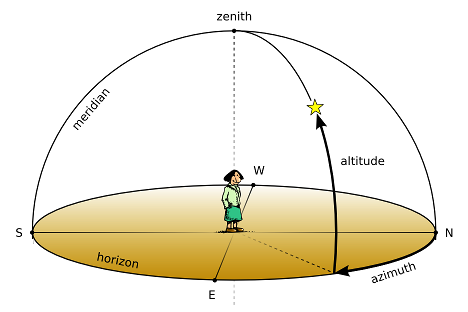 In addition to these two full-dome movies, this program also includes a very popular demonstration - inside the planetarium - of the altitude - azimuth coordinate system. 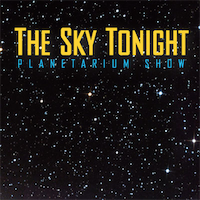 Also included is a brief version of the live interactive planetarium presentation entitled The Sky Tonight. If time permits, a short Question and Answer session will be included and your students may also have an opportunity to hold a large, museum quality, iron meteorite in their hands. If you don't have time for a 90-minute program, you can remove either one of these full-dome movies (your choice) and reduce the duration of this program to 60 minutes. The price for this shortened school program will then become $5.50 per student.